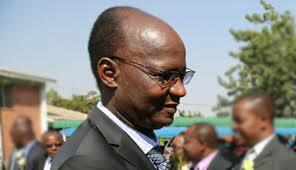 Fugitive former Higher and Tertiary Education, Science and Technology Development Minister Professor Jonathan Moyo is still wanted by Kenyan authorities for an alleged $6 million fraud committed in the East African in 2000 while he was programme director for an American-based charity, Ford Foundation, Kenyan media reported yesterday. A news report by the Daily Nation, Kenya’s largest circulating daily with a readership of over 170 000, quoted an unnamed security source as saying Professor Moyo had not been cleared of the fraud charges. “In 2001, Mr Moyo was implicated in a corruption scandal involving about $6 million (Sh619.9 million) while he was the programme director in Nairobi for the American-based charity organisation, Ford Foundation. “The money was meant for a Nairobi-based NGO, the Series on Alternative Research in East Africa Trust, which was founded by political scientist Mutahi Ngunyi,” said the Nation in the report. However, senior Kenyan government officials interviewed by the paper – who include government spokesman Mr Eric Kiraithe, the Interior ministry spokesman, Mr Mwenda Njoka and Mr Edwin Limo, the spokesman for the Foreign Affairs ministry – refuted media suggestions that Professor Moyo was in Kenya.